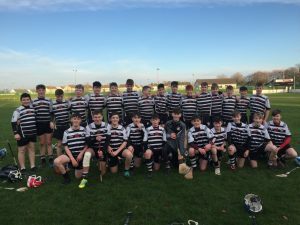 Our U-15 hurlers captured our first underage hurling title in many years with a deserving win over St Josephs Borrisoleigh. Borris got the first score from a free. CCR took over for the next 5 minutes and crashed in 3 goals. Sean Treacy was quickest to react when he smashed home from 12 yards. James Liffey was central in a nice build-up play as James Conroy bagged 2 excellent goals. Borris didn’t lie down and responded with a point from a free and a goal to reduce the deficit to 0-4. Liffey scored a fine point off his left. Conroy blitzed the defence again and scored another well taken goal. Max Flynn was next to show his effective liveliness when he rode several tackles to score another goal. CCR lead 6-1 to 1-6 at half time and looked comfortable. The dominance of Rory Glynn was a major factor in keeping the Borris full-forward line at bay. The second half was a much more balanced affair. 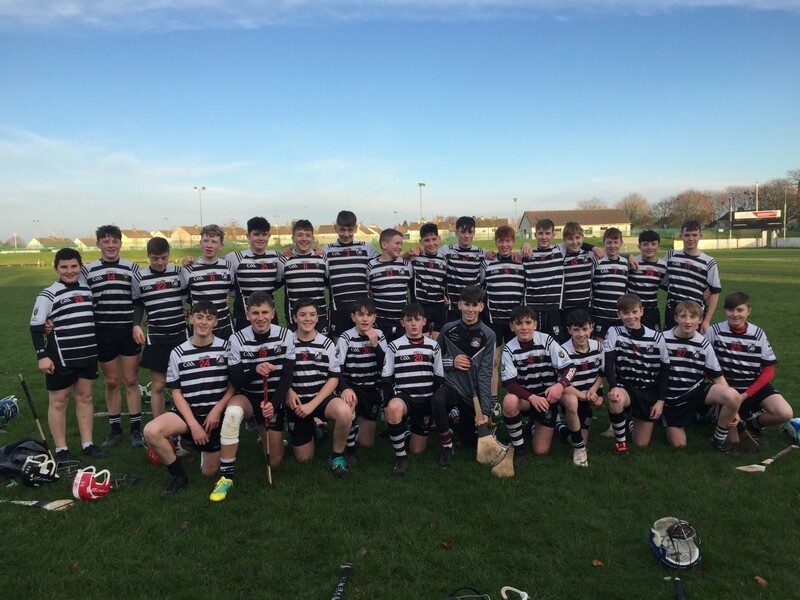 CCR points from Richie Whelan, Harry Duffy and Conor Frawley were matched by Borris scores. Borris then got in for 2 quick-fire goals. Colm Cunningham made a magnificent save and this seemed to take the sting out of the Borris challenge. CCR emptied their bench and gave our team a foothold in the game just when Borris seemed to be launching a comeback. All players getting a minimum of 10 minutes game time. The final score of the game was a fitting conclusion. James Conroy picked the ball up in his own half, soloed 25 meters, before striking off the hurley from 65m over the bar. It was a fitting end to a masterful individual and team display.